After another morning of espresso training and cupping coffees I thought it would be a good idea to drink up all the new knowledge and intensity of the last couple of days with a little shift in perspective. 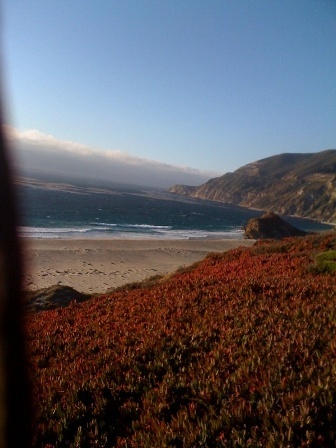 So, after the last of the trainings and my meetings we hopped in the car for a trip south on Highway 1 to Big Sur. Yep, there wasn’t any coffee to be found in Big Sur and that was exactly the point of the journey today. 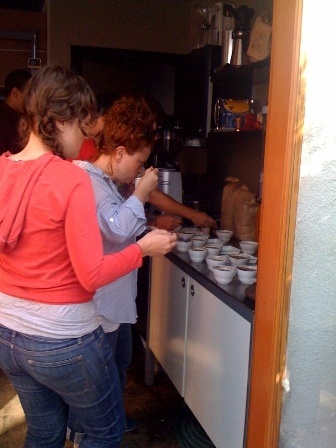 The coffee on the cupping table was completely awesome, the new ideas and discussions around Tazza D’Oro were inspiring and exciting, but the trip to Big Sur – just no words to describe the vastness and beauty, just no damn words! We headed back to Santa Cruz under a full moon to a party held in our honor by our friends at Verve. What a great time and the food was totally delicious! Thank you so much, Ryan and Colby and thanks to your crew! 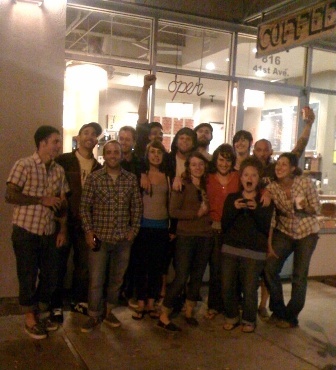 Tazza D’Oro & Verve – in front of Verve’s espresso bar – one gnarly crew! On Saturday we are headed back to Pittsburgh with lots more to share with you. Jennifer, Morgan and Katie – great job!